Please join us for today’s service led by Rev. Paul Dodenhoff. Easter is the holiest day on the Christian calendar. 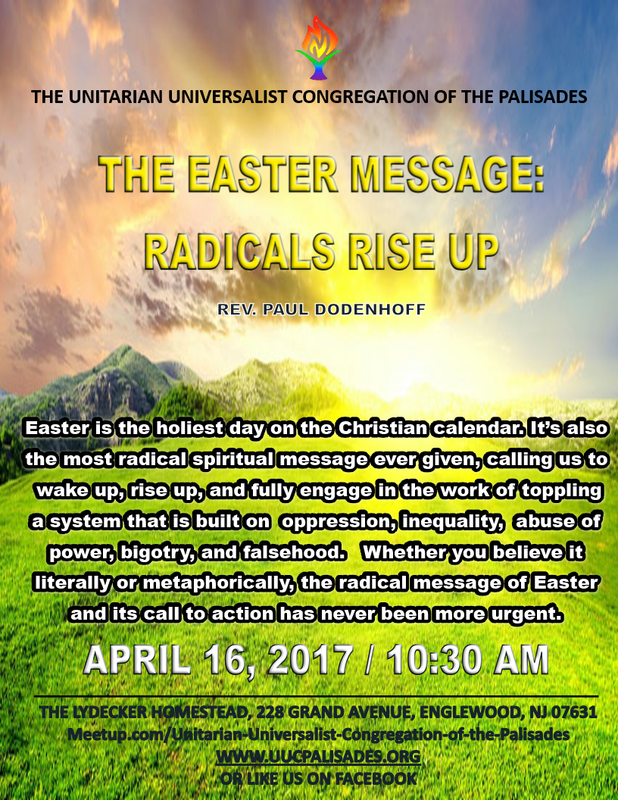 It’s also the most radical spiritual message ever given, calling us to wake up, rise up, and fully engage in the work of toppling a system that is built on oppression, inequality, abuse of power, bigotry, and falsehood. 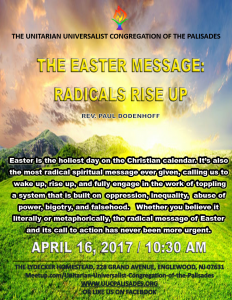 Whether you believe it literally or metaphorically, the radical message of Easter and its call to action has never been more urgent.